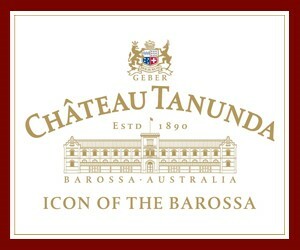 Established in 1890, Château Tanunda, Icon of the Barossa, is Australia’s largest and oldest Château and a truly unforgettable Barossa wedding venue. Built in the French-Germanic style of architecture, Château Tanunda brings a picturesque vision of European culture to the heart of the Barossa. Built with locally quarried bluestone from Bethany, beautiful slate Cellar Door surrounds originally from Mintaro, and driveways hand-laid with cobblestones. Château Tanunda was built on the highest point of the valley floor, giving spectacular views of vineyards, the rolling Barossa Ranges and native Australian landscape. The immaculately maintained gardens including towering palm trees, wisteria walkways and lush green lawns, create the perfect back-drop for ceremonies and photography, and an exceptional Barossa wedding venue. We exclusively reserve the designated area/s of your choice for your ceremony and photography. Ceremony locations include the Sunken Garden, Croquet Green, Barossa Ranges Terrace and Château Forecourt. Reception rooms include the Grand Ballroom which plays host for up to 450 people, and is very versatile for smaller numbers by the use of draping and lighting. The Long Room is ideal for more intimate receptions seating 50-80 guests. Barossa Wedding reception packages include exclusive use of the Château, premium Barossa Valley catering prepared by Owen Andrews Catering (2013 SA Restaurants & Catering Awards Small Caterer of the Year), premium Château Tanunda wines, event management, and all your reception needs. We are happy to help you arrange any additional requirements to help make the planning process easier for you. Each wedding package we offer is special as we tailor-make each menu, beverage list and set-up to your preferences.